Foreign Minister Dr. A. K. Abdul Momen, MP expressed his heartfelt condolences for the loss of valuable lives during the explosion at Yancheng in China. In a message written to Wang Yi, State Councillor and Foreign Minister of China, Dr. Momen said, we are deeply saddened to learn about the tragic accident resulting in many deaths and heavy casualties. He conveyed his heartfelt sympathies to the Chinese Foreign Minister and the friendly people of China as well as to the members of the bereaved families for the irreparable loss, according to a press release of the Ministry of Foreign Affairs. Dr Momen wished a speedy recovery of those who had been injured during the explosion. Mentioning the Government of the People’s Republic of China as a close partner, he gave assurance to stand by the government and the people of China at this difficult time. 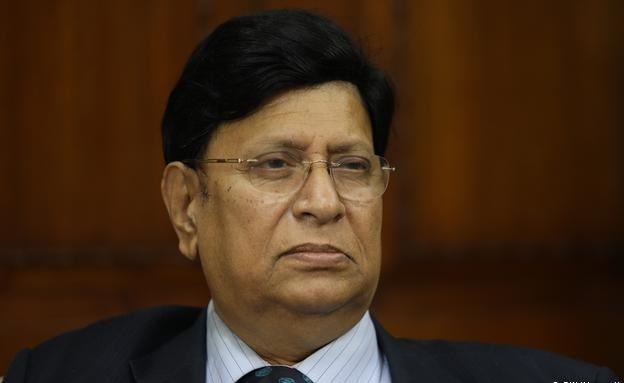 Foreign Minister Dr. A. K.
Abdul Momen, MP expressed his heartfelt condolences for the loss of valuable lives during the explosion at Yancheng in China.